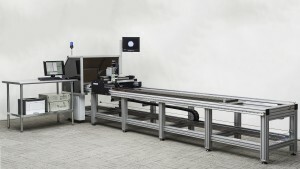 Aspex is the designer and manufacturer the of the original SpinTrak Automatic Spinneret Inspection System. The SpinTrak family of Spinneret inspection systems are specifically designed to inspect all types of extrusion dies/spinnerets used in filament yarn, staple fiber, spunbond, meltblown and spunlace applications. “Proper extrusion of the polymer through the spinneret capillaries is critical in fiber and filament spinning or spunbond/meltlown nonwovens processes. The SpinTrak is continuously used in process control to inspect and verify the capillaries are cleaned properly or not damaged before the spinneret is put back into operation. Today production lines operate at much higher speeds with higher yields and more value added applications. The trend is for smaller capillaries in most production types along with an array of new polymers, additives, and recycled content making pack life and cleaning the packs a higher priority. When factories build new plants today, automatic spinneret inspection is now considered a necessity as manual inspection can not do the job properly”, commented Gerald Henrici, President of Aspex Inc. In filament and fiber spinning dirty or damaged capillaries directly influences denier, tenacity, filament count, dye uptake, and other properties.